A light weight, versatile miniature garden; Coireasyplanters are fantastic for use in greenhouses, or to place straight on your patio. You can grow anything in Coireasyplanters; flowers, herbs, fruit or vegetables. Coireasyplanters are easy to use, simply cut the top off, hydrate with water and plant directly into the bag. Make sure you cut some slits in the bottom after planting for drainage. One un-hydrated 10litre Coireasyplanter measures 18x18x3.5cm and weighs less than 1 kg! You will no longer have to carry home heavy bags of potting mix. 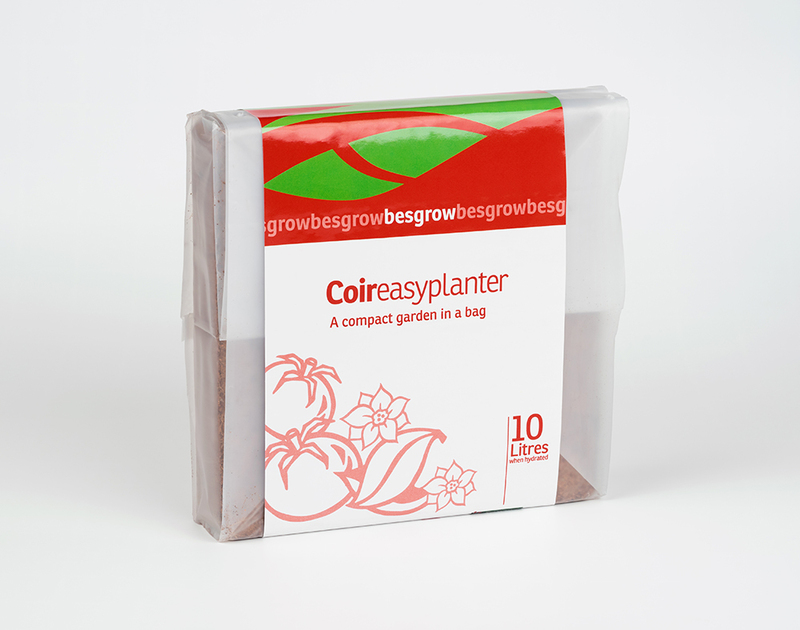 Coireasyplanters contain a Classic coir slab that includes a 20-20- 20 fertiliser with Trace Elements and Calcium Nitrate giving your plants the nutrients they need to grow strong and healthy. Classic Coir has excellent water holding capacity and therefore is ideal for growing a wide variety of plants. If you are growing plants with high nutrient requirements (such as tomatoes) you may need to liquid feed for best results. The Coir substrate in Coireasyplanters bags can also be used for pots if you would prefer.